“We received six project requests for area development funding through the Appalachian Regional Commission and one local access road,” said Project Manager Cindy Sharon, Dept. of Economic Development. Potomac Edison’s Energy Solutions for Business Program provides rebates to new and existing business customers who perform any type of energy projects that will lower their demands on the grid. This years's Garrett Lakes Arts Festival (GLAF) season will kick off on April 27, 2019 at 7:30 p.m. in the Garrett College Auditorium with Walt & Jackie. Garrett County is a progressive community that welcomes business. 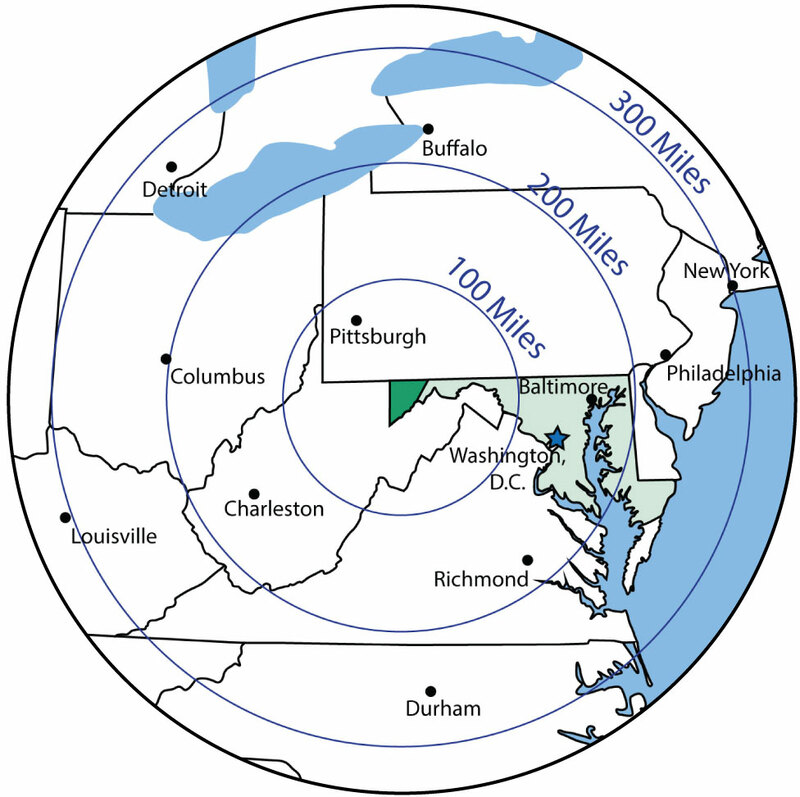 The westernmost county in Maryland, Garrett County offers a central location to many major markets, an interstate, available community-owned business parks, one of Maryland’s best K-12 school systems, a variety of housing options, and an excellent workforce. Work in Garrett County - The Department of Economic Development works to attract, retain, and expand businesses to our area. Our workforce, location, and affordable community-owned business parks have attracted some of the best business that Maryland has to offer. We’re an attractive location for manufacturing, distribution, back office, call center, energy, agricultural, and recreation firms. Learn in Garrett County - Our public schools consistently rank as one of Maryland’s best. The STEM curriculum, within both our public schools and Garrett College, prepares graduates for career achievement and skilled local jobs. We provide an opportunity to all students to achieve higher education. The Garrett County Commissioners Scholarship Program makes post-secondary education within reach of area high school students and their families. Yet educational efforts do not end there, Garrett College actively seeks private employers to partner with to provide enhanced job skills for area workers. Play in Garrett County - With 90,000 acres of parks, trails, and lakeside amenities, Garrett County has many entertainment options. We offer year-round recreation from ski slopes to lake shores, as well as many public spaces to swim, ski, golf, and relax. Our county festivals, farmers’ markets, and cultural celebrations provide year-round enjoyment. In Garrett County, we continue to define what it means to live, work, and play. We invite you to see what we have to offer. Please call us at 301-334-1921 or email us at economicdevelopment@garrettcounty.org.